If a contracting officer determines that a small business offeror is not qualified to perform under a solicitation, that usually means the offeror’s proposal will be rejected. In some instances, however, the offeror gets a second chance through the SBA’s Certificate of Competency (“COC”) program. Here are five things you should know about the COC program. The Section 809 Panel has recommended that Congress eliminate most small business set-asides for DoD acquisitions. The Panel would replace the longstanding set-aside system with a meager five percent small business price preference. For small government contractors, this recommendation is the policy equivalent of a five-alarm fire. Small contractors may need to fight hard to save the set-aside system. Get ready for a battle. With the stroke of a pen, Congress may have just paved the way for some soon-to-be large businesses to remain small for longer. Both the House of Representatives and the Senate have passed a bill that would amend the Small Business Act to change the period of measurement used to determine the size of a business from three years to five. The bill awaits the president’s signature to become law. The GAO lacks jurisdiction to determine whether an offeror is a service-disabled veteran-owned small business. 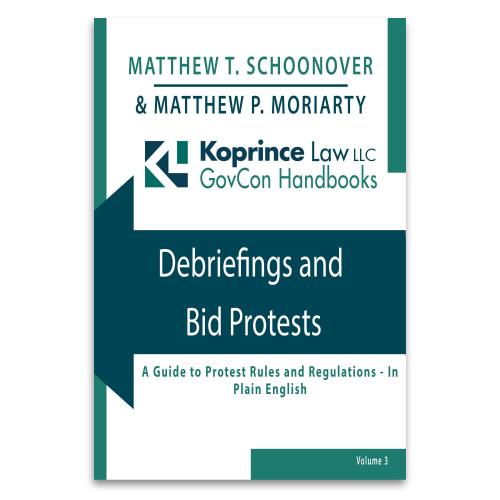 In a recent bid protest decision, the GAO rejected the protester’s creative attempt to convince the GAO to take jurisdiction, and confirmed that, for non-VA acquisitions, the SBA has sole authority to determine whether an offeror is an SDVOSB. In a big victory for proponents of the 8(a) program, the Supreme Court of the United States has denied the Petition for Certiorari filed by Rothe Development, Inc.
Consequently, the decision of the Court of Appeals for the D.C. Circuit finding the statutes establishing 8(a) program to be constitutional will be allowed to stand. The GAO lacks jurisdiction to consider a challenge to a contract awardee’s size status, including questions of whether the awardee is affiliated with its subcontractor under the ostensible subcontractor rule. In a recent bid protest decision, the GAO confirmed that it will not adjudicate an allegation of ostensible subcontractor affiliation. Earlier this year, we wrote about an interesting issue brewing in federal contracting: whether the logic behind the Supreme Court’s June 2016 decision in Kingdomware Technologies means that the Small Business Act’s rule of two is mandatory for acquisitions under Federal Supply Schedules. In other words, does the Small Business Act require agencies to set aside orders under the FSS when two or more small business are likely to submit competitive offers? The SBA believes that the rule of two (see FAR 19.502-2) is mandatory for such orders. GAO has disagreed, saying instead that the Small Business Jobs Act of 2010 and the exclusion of FSS contracts from the application of FAR Part 19 (see FAR 8.405-5(a)(1)(i)) make the small business rule of two discretionary for these orders. This conflict—GAO believing the Small Business Act’s rule of two is discretionary for orders placed under multiple-award contracts; SBA believing it is mandatory—has existed for several years. 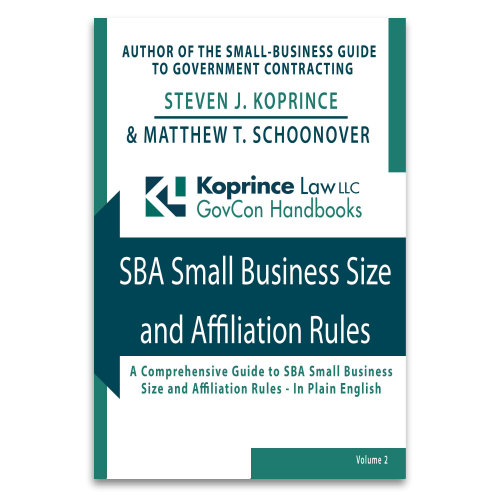 But now the SBA is using the Supreme Court’s recent decision to bolster its case: according to a recent SBA internal memorandum, Kingdomware requires the small business rule of two to be given mandatory effect, at least with respect to orders valued between $3,500 and $150,000.